Police found cocaine in tubes meant to contain vitamin C tablets. The 61-year-old told a judge he was terminally ill and trying to pay for his funeral. ROME — A retiree discovers he is terminally ill and decides to sell drugs to pay for his funeral, so he can leave some money behind for his loved ones. 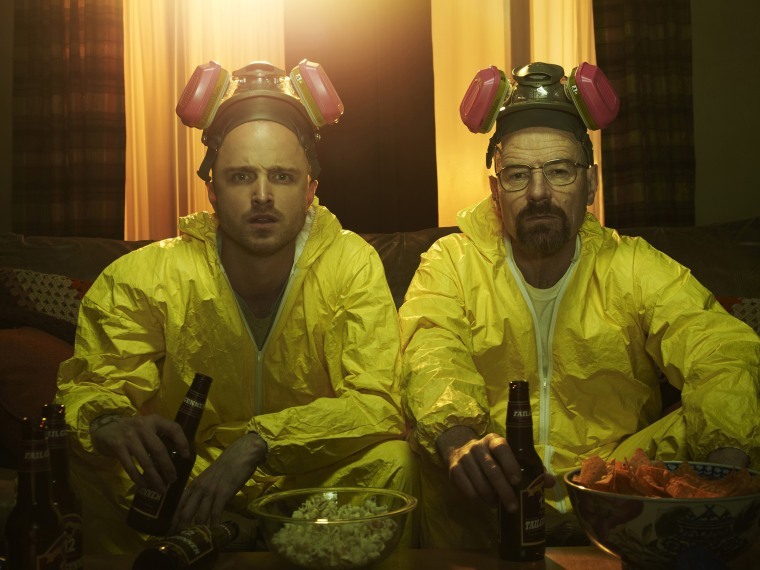 It's not the plot for a sequel to "Breaking Bad," but the explanation a 61-year-old man from northern Italy told a judge Tuesday after he was found with about a half-ounce of cocaine in his car, wrapped and ready to be sold. Police said the drugs were found in tubes meant to carry vitamin C tablets. The retiree, who was arrested near the city of Bergamo, was also carrying around $1,000 in cash, according to investigators. "It didn't surprise us that much," an officer involved in the case told NBC News, speaking on condition of anonymity because he wasn't authorized to speak to the media. "The other day we arrested a 71-year-old man with a kilogram (2.2 pounds) of cocaine, and we have even seen mothers hiding drugs in their babies' strollers." The man was released on bail pending a future court hearing. His name wasn't released by authorities.